Sliding Glass Patio Door Repairs in California Your browser does not support the audio element. 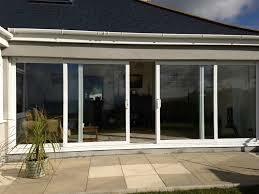 You shouldn't have to muscle a sliding patio door to get it to glide along its rollers or track. A sliding glass patio door should move easily enough for you to open it with one hand. If you have to force it along the track, it's easy to get it fixed. You can try the simple approach at first by thoroughly cleaning the track of your sliding patio door. The track does get dirty, everyone's does, but it needs to be cleaned periodically. For now try cleaning the metal or vinyl track using paper towel and spray cleaners. Once it's clean, look at the track itself to see if it is free of dents, dings and warps. If not, the chances are this is the problem and the patio door track should be replaced. Many sliding door problems are solved by installing new rollers or wheels to the door without door track replacement. This saves you money whenever practical and possible. All work is guranteed. Another problem is easier and less expensive, the sliding patio door 'rolls' along a track using 'wheels' or 'rollers' that wear out through normal use, wear and tear. Nothing lasts forever, does it. The good news is that many of our calls don't need a new track and why spend money when it's not necessary. Be assured, if we can get your door rolling, fast & easy by installing new door wheels or rollers, that's the path we will take. Simple, is efficient. Sliding glass doors start to become difficult to open when the track accumulates pet hair, dirt and debris and the dirt and grime finds it's way to your doors 'rollers' or 'wheels'. To keep your patio door free of problems, it's a good idea to clean the door track using a vacuum cleaner, paper towels and some non-stick spray lubricant. I recommend doing this every coupld of months, especially if you have pets at home. On any given day, we are in Riverside, Moreno Valley and Perris fixing older homes with the aluminum framed doors and windows as typically used in the 1980's by almost all home builders in the Riverside County area. Many homeowners cannot afford the huge expense of replacing the patio doors and often we can get those old doors rolling again so that they open, slid and glide, as they used to. We solve your sliding patio door problems in Riverside, Perris and Moreno Valley. We can get you rolling, guaranteed! Over time the patio door wheels wear out and the sliding door becomes difficult or almost impossible to move! 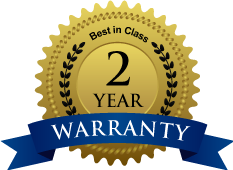 We specialize in fixing and replacing worn out patio door rollers, wheel assemblies and the track the patio door rolls across. We can also replace patio door locks for you. 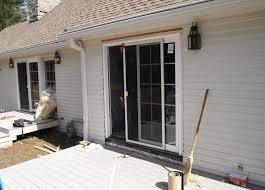 Sliding door repairs and/or track replacement (if necessary) is an effective solution saving you a lot of money compared to costs of replacing the old door and frame, such costs are generally prohibitive for many homeowners. Our mission is to get you rolling and make your life easier, at the lowest possibel allowing you to enjoy your patio door again. without battling and struggling with the door again. We expertly repair sliding patio doors, door sliders and all interior sliding glass doors including sliding glass patio doors and replace sliding door track to any exterior sliding doors. 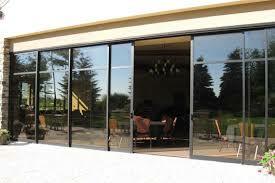 We service all exterior patio doors and mirror doors including sliding door rails, sliding glass closet doors. 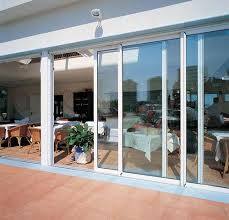 Empire also offers brand new sliding glass door replacement to all interior and exterior sliding interior doors. If you want or need brand new replacement sliding patio doors we can provide standard or custom doors and windows to delight the most discerning customer at unbeatable prices and skilled professional installation.